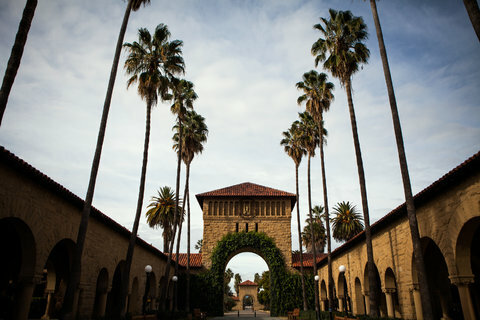 This NYTimes article looks at the gender disparity in technology career success within the Stanford class of 1994. I found this reader comment to be realistic -- it is consistent with my own experience both as a parent and as a startup founder. I've been in tech field for some years now. Being a working mother, with two kids (one boy, one girl), this subject hits close to home. When I first started, there were more women in the ranks than it is now. I never experienced any sexism or discrimination in workplace, nor did I ever feel pushed aside. But I have to say this to my fellow female peers, in order to get ahead, you have to stay in the field. Dropping out or even scaling back will not help, and you can't blame others for not entrusting you with high profile projects because you might not be here next week. Naturally it helps to have a spouse who share chores and childrearing, rather than having the woman/mother/wife to have-it-all, but really do-it-all which is practically impossible. That's how we stay the course and allow a pathway for younger generations of female to move up the ranks. Looking at my kids - and we raise them to have the same aspirations, ambitions, and aggressiveness - there is indeed certain nature-vs-nurture difference. Justified or not, my son is almost always over-confident in his ability in all situations whereas my daughter is more circumspect and tentative (even if she's more than capable). It takes a lot more encouragement to prompt my daughter to be aggressive, whereas my son naturally does it on his own. As I look around all those in fields like VC and startups, I see mirrors of how men and women behavior. This article doesn't surprise me. # Society should invest in my ideas because they are more important than those of other people. # Discomforting others does not deter me from stating the facts. # Receiving criticism from others does not inhibit me from expressing my thoughts. NYTimes: ... Mr. Sacks almost wasn't hired because of doubts that he could work well with others; during his job interview, he put the chief financial officer on notice that his own job would be totally different once Mr. Sacks arrived, Mr. Thiel remembered. But his lack of social grace became an asset, according to Mr. Thiel and other former colleagues. He did not waste time on meetings that seemed pointless, and he bluntly insisted that the engineers whittle an eight-page PayPal registration process down to one. Everyone knew Mr. Sacks was politically conservative, but in the office, he was less bombastic. He had become a manager, he said in an interview, and did not want to hurt the cohesion of his team. But he and Mr. Thiel now had a setting in which to try out their ideas about diversity and meritocracy. 'In the start-up crucible, performing is all that matters,' Mr. Sacks wrote about that time. He wanted to give all job applicants tests of cognitive ability, according to his colleague Keith Rabois, and when the company searched for a new chief executive, one of the requirements was an I.Q. of 160 -- genius level. These differences are largely genetic. In the nature/nuture debates what people call nurture is merely the residuals about the regression. These residuals are unknown, and if the modelling is well done are random noise. To label the residuals as something known, i.e. nurture, is tendentious in the extreme.